Research Interests: My lab investigates how bacteria, viruses, and other microorganisms interact with and regulate marine ecosystems. Currently our projects focus on tropical reef and deep-sea ecosystems. Our lab is funded primarily by the National Science Foundation. My lab’s research uses interdisciplinary and high technology approaches to address questions about how viruses and microbes function in and affect the environment. Using a combination of empirical experimentation, field work, metagenomics, microscopy and molecular biology, my research provides important insight into a variety of fields including: virology, microbiology, coral reef ecology, animal physiology, and the evolution of symbioses. Using microscopy and metagenomic techniques, we study how viruses are important in regulating many aspects of marine biology and oceanography. A majority of our studies focus on the isolation, identification, and evaluation of eukaryotic viruses associated with important marine species. Coral reefs are hotspots of biodiversity but are increasingly threatened by factors such as climate change, pollution, and overfishing. One effect of these combined stressors is that corals are more frequently suffering from diseases of unknown origin. By isolating the viruses from healthy and sick corals, we can begin to understand which viruses may contribute to disease and decline of these precious habitats. Currently we have several projects on the types of viruses associated with Caribbean, Hawaiian, and Indo-Pacific coral diseases and bleaching events. We also are evaluating the types and effects of viruses on the development, fecundity, and health state of several species corals from across the globe. In addition to eukaryotic viruses, we study the ecology of marine phages, the viruses that infect bacteria and archaea. Our lab investigates the types, roles, and abundances of phages in the sea. To do this we use next generation sequencing and bioinformatics to sequence, assemble, and annotate phage genomes that we have isolated from a habitat. Once annotated, we can infer various things about the phages, including their potential hosts and the effects on their host’s physiology and ecology. 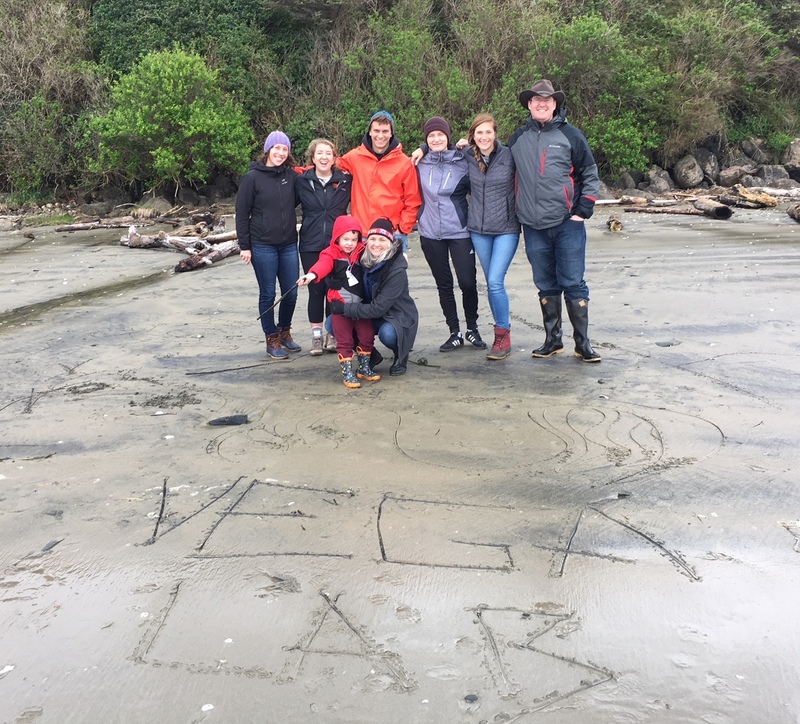 Currently we are focusing our work on the phages associated with methane seeps off the Coast of Oregon and California. Microscopic marine Bacteria, Archaea and Eukaryotes play pivotal roles in the oceans. On coral reefs microbes are responsible for continued remineralization of important nutrients and are also symbiotic members of corals themselves. As temperatures, nutrient concentrations, and top down pressures change, so does the structure and function of the microbial component of those environments. Such alterations maybe have negative effects on the community of benthic or aquatic animals and plants. A major focus in my lab is to understand how shifts in environmental parameters drive changes (structural and functional) in the microbial community and how these changes then cascade down to the function of that habitat. To do this, we perform on site (in the Florida Keys and Mo'orea, FP) experimental manipulations (herbivore abundance and inorganic nutrient concentrations) of reef habitats and then monitor the communities of microbes associated with corals and macroalgae. The top down regulation of marine microbial communities is thought to be driven mostly by either phage lysis or consumption by eukaryotic predators. Bacteriovorax species are a unique group of predatory bacteria whose role in marine food web dynamics is often overlooked or ignored. We monitor the natural dynamics of these organisms in marine systems to better understand their biology and ecology. However we also use them as a model system to ask questions about predator-prey dynamics on surfaces in the ocean. To do this we cultivate several strains of Bacteriovorax and prey marine bacteria to conduct in lab experiments that mimic natural conditions in the environment. The post Tara Pacific Expedition Enters its Final Year appeared first on The Cnidae Gritty. The post What killed the harbor seals? appeared first on The Cnidae Gritty. The post Tempers flare and temples collide appeared first on The Cnidae Gritty. The post Me Kudos and Wanna Whale appeared first on The Cnidae Gritty. The post Living on Sponge Cake, Watching the Sun Bake, The Deck is all Covered in Oil appeared first on The Cnidae Gritty. The post Art is opportunity appeared first on The Cnidae Gritty. The post Things fall apart appeared first on The Cnidae Gritty. The post The life of a PhD student appeared first on The Cnidae Gritty. The post Ducie Island, Shark Finning, and BIRDS! appeared first on The Cnidae Gritty. The post Rest, Relaxation, and Fish Stories appeared first on The Cnidae Gritty.